We recently made an offer on a home, and the stress of the process triggered anxiety that spilled over into our relationship. Although Constantino is good at leaning on David in times of stress, David often turns inward and rejects support or, in some cases, turns away and seeks support elsewhere. 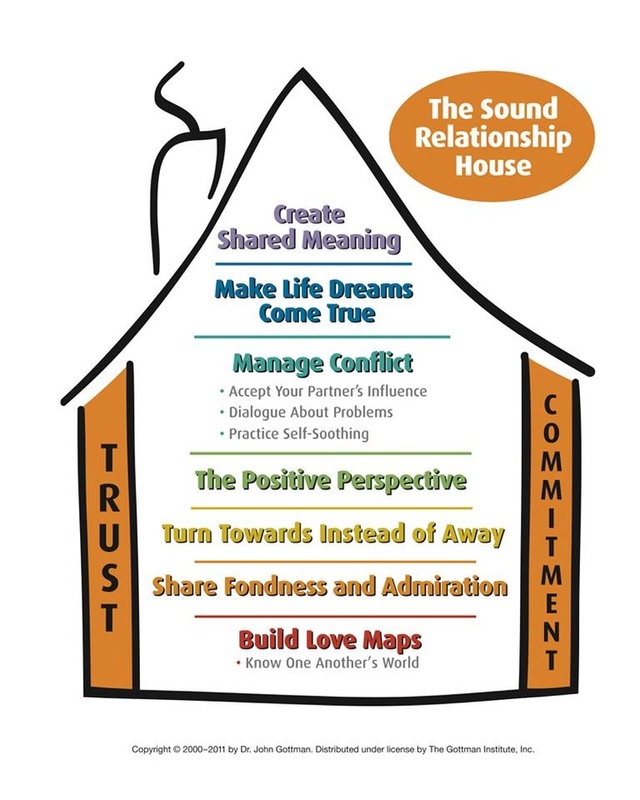 Those familiar with the Gottmans’ Sound Relationship House will know that one of the most crucial steps is to turn toward instead of away. Reaching out to your partner and accepting their bids for emotional connection is one of the greatest indicators of the success of a marriage. When we respond to our partners with interest and enthusiasm in small, everyday moments, we build up an “emotional bank account” that helps the relationship weather conflicts. What we’ve found in our relationship is that turning toward a partner is about more than accepting bids—it’s about accepting your partner as your “anchor.” In attachment theory, a person’s ability to form an emotional and physical attachment to another gives that person the stability and security necessary to take risks, branch out, and grow. It’s an essential part of development. Our parents typically serve as that “anchor” in childhood, and in adulthood that role often transitions to a partner. But what if we have trouble making our partner our anchor? In our relationship, Constantino has no problem making David his anchor because he has a limited relationship with his parents. Constantino spent years feeling unanchored and without security, so when he met David it was easy and natural to turn to him for support. David, however, has always had an extremely secure relationship with his parents. He’s used to turning to them whenever he has a problem or needs advice. He also tends to have an avoidant attachment style, which means that he feels uncomfortable with too much closeness. The combination of these two factors means that he rarely turns to others for support and, when he does, it’s usually his parents. During our home-buying process, we sought out experts and family for advice, but Constantino always turned to David to discuss issues and express feelings of excitement or fear. Conversely, David tried to handle problems on his own and, when he couldn’t, turned to his parents or experts to figure things out. The result was that Constantino felt left out of the process. Rather than being at the helm of the ship with David, Constantino felt as if he were relegated to swabbing the decks. David’s failure to turn toward his husband as his anchor made Constantino feel useless. This, in turn, triggered the anxious attachment style Constantino exhibits when he doesn’t feel secure in a relationship. Combine that with David’s avoidant style and it’s a recipe for conflict. To course-correct our relationship, David stopped prioritizing the input of others regarding our home purchase and instead turned to Constantino. After collecting what advice we could from experts, we decided it was important to then privately discuss our options and make decisions between just the two of us. That way we were making this major life decision as a couple and not by committee. We’re happy to say that we got the home we wanted. More important, we’ve learned that turning toward each other goes beyond accepting each other’s bids. It’s about making our partner, not others, our primary emotional anchor. It’s about making our partner our home.